Posted 05-23-2014 by Dale Bohman. Sometimes when you are trying to get someones attention with a sign, it’s not enough to have it just mounted to a wall…you need it to stand out! 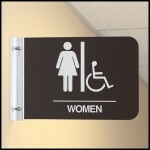 In hallways or walkways, mounting a sign perpendicular to a wall will get attention much better than a flush sign mount. 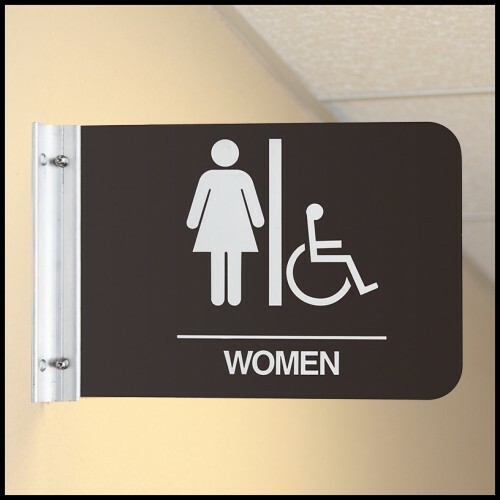 In a commercial building they are great for marking restrooms, conference rooms, in hotels and resorts they can mark vending and ice machine areas, towel returns at pools and more! The brackets can be as simple as an aluminum channel that can be painted to match decor, or as very nice and elegant with chrome accents and clear glass faces. 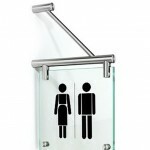 Signs can be changed and switched out easily. 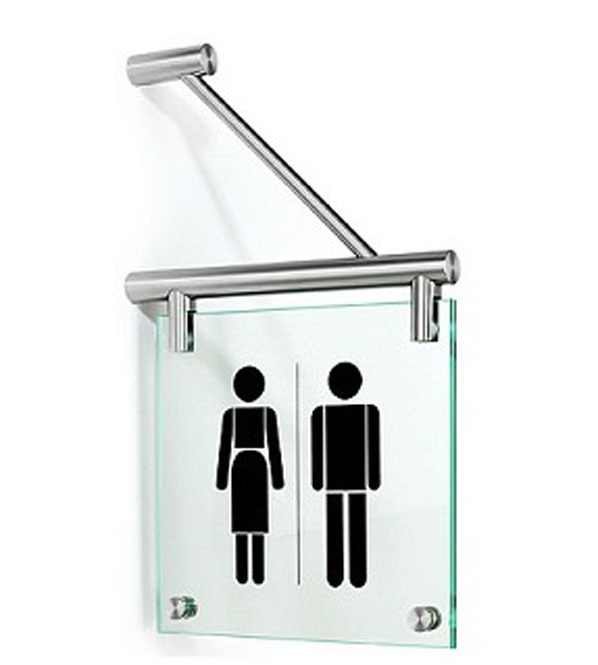 They are ideal for permanent wayfinding, interior and directional signs.